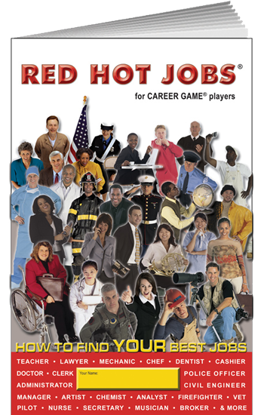 After completing The Career Game, students use Red Hot Jobs to match their interest scores to jobs from the Occupational Outlook Handbook. 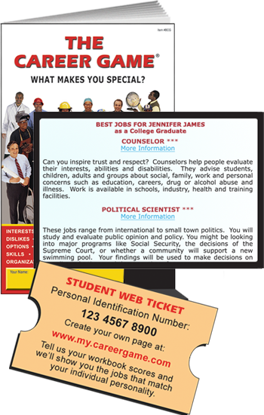 Using a simple graphic shorthand, each job is presented along with its growth rate, educational requirements and the personality traits required for success. The dual workbook self-scoring format works well with extreme time limitations. 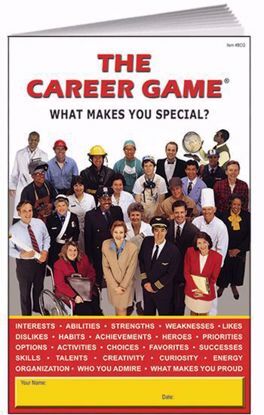 Using The Career Game and Red Hot Jobs in immediate sequence makes it possible to both explore interests and match them to jobs in a single class period. ***Item # C2PK 78 combines both The Career Game and Red Jobs in a package price. 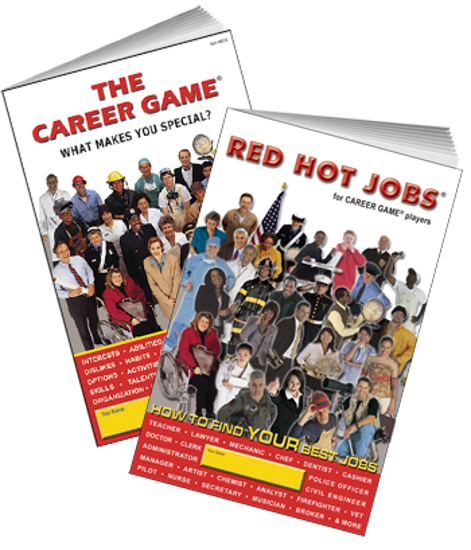 If you already have The Career Game and only need Red Hot Jobs, click that icon in Coordinated Multimedia below.